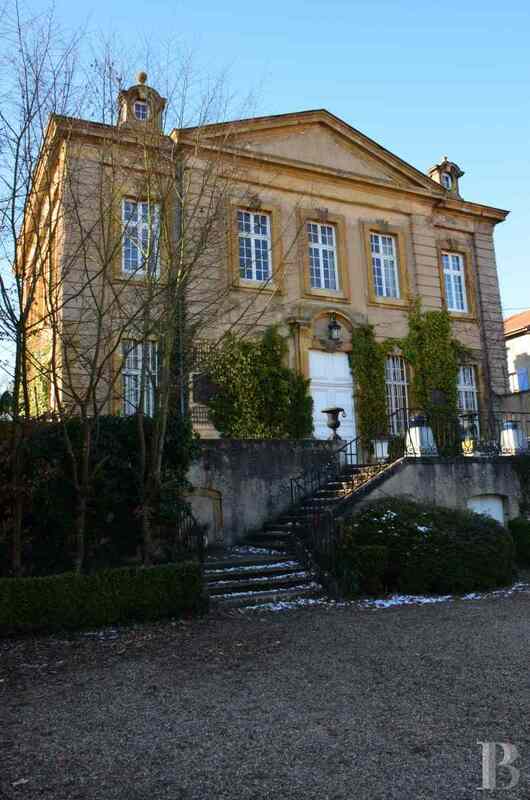 A listed, classical 18th century chateau on the Moselle hills in the area around Metz - chateaux for sale France - in Picardy, Nord-pas-de-calais, Lille, Champagne-Ardenne, Lorraine, Alsace and Franche-Comte region - Patrice Besse Castles and Mansions of France is a Paris based real-estate agency specialised in the sale of Castles / chateaux. 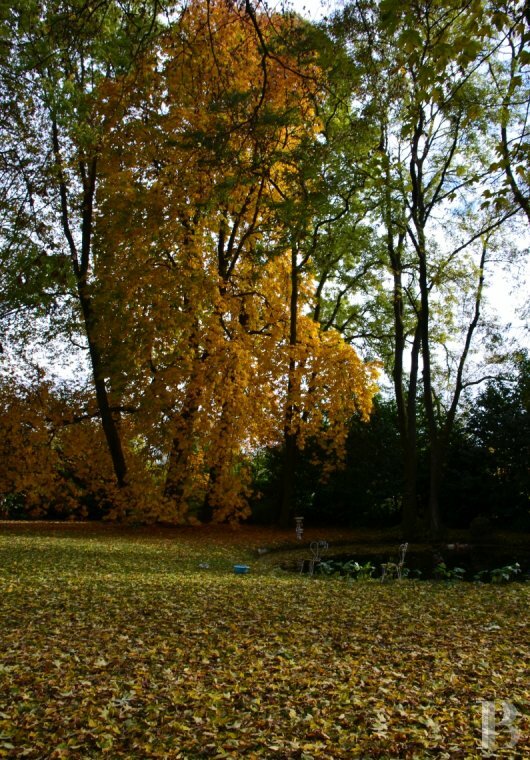 To the south of the Greater Metz Area, some 20 minutes by car from the A31 motorway with links taking about an hour to the city of Luxembourg and its international airport as well as to Saarbrücken in Germany; Brussels is 293 km away and Paris is 335 km away via the A4 motorway. It can be reached rapidly in 85 minutes by rail from the French capital via a direct TGV train to Metz. 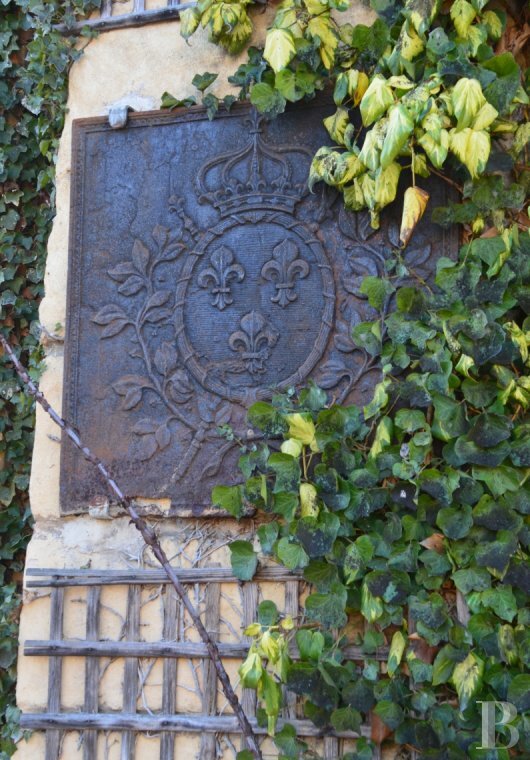 This chateau is in the Lorraine area. It stands in the middle of a small, sleepy village, backing on to a Moselle hillside featuring an old vineyard planted with Auxerrois vine stock. Below the village, the view forms a landscape of ploughed fields and grazing land. 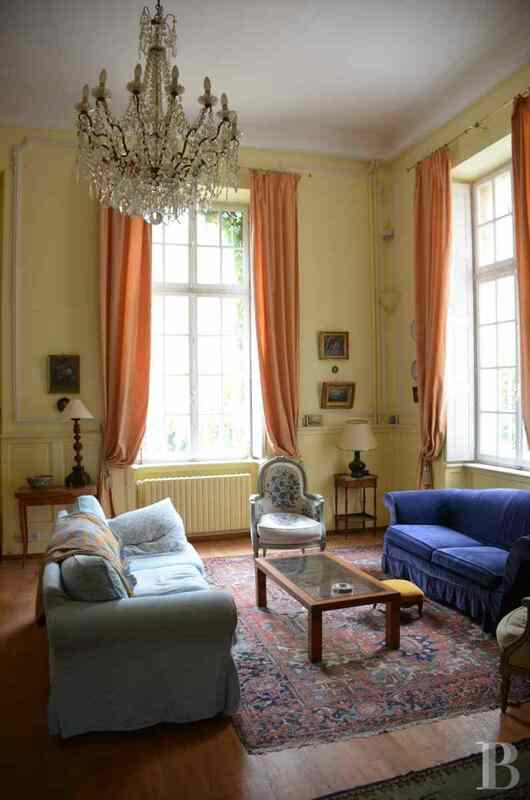 Although just a short distance from a large regional urban area and all of its shops, universities and administrative structures, this chateau and its village also have the benefit of pleasant countrified surroundings. 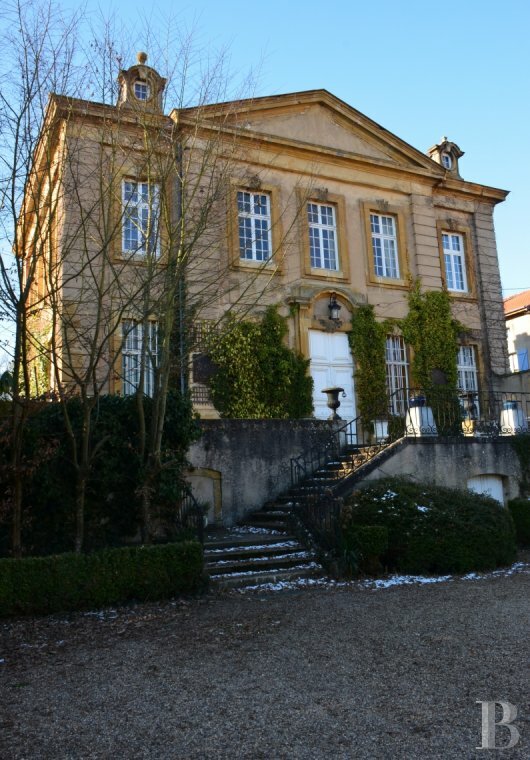 A large chateau, constructed in 1743 by Laurent-de-Chazelles, advisor and secretary for the king of France at Metz Parliament, stood on this site in the 18th century. The architect who drew up the plans for the chateau remains unknown, but some believe it was Jacques-François-Blondel, teacher at the “École de l’Académie Royale d’Architecture” (royal architectural academy), who drew up local plans for Metz’s Place-d’Armes and built the town hall, the parliament and the episcopal palace there. 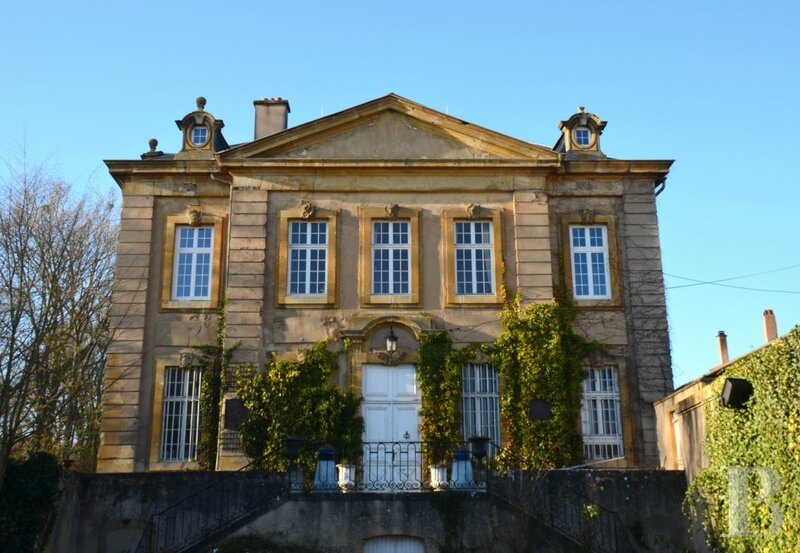 The original chateau comprised a central building with eleven bays, flanked by two protruding pavilions; it faced south looking out over vast terraced gardens dotted with numerous fountains, famous throughout the region at the time. 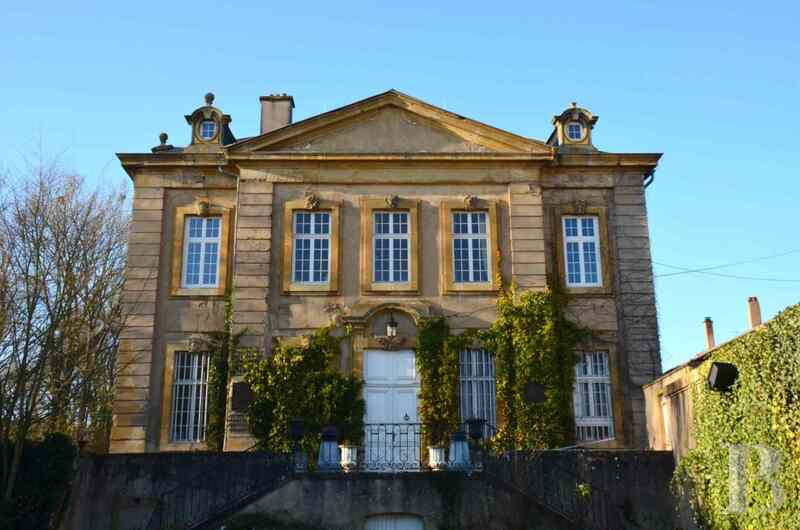 This building was so badly damaged during the 1914 First World War that at the end of the war the owner decided to demolish the chateau’s left-hand wing as well as ten of the eleven bays forming the central building. 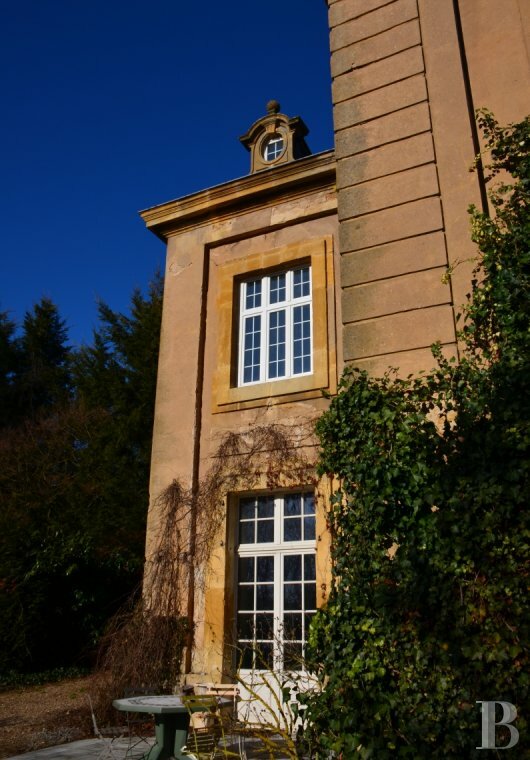 The chateau currently features one bay of the old central building with the pavilion forming the right-hand wing of the original chateau. Despite its smaller size, it makes an immediate impression on visitors entering the main courtyard: the pavilion, exuding outstanding classical elegance, once marked the main entrance to the chateau and was therefore the most richly wrought section. This building spans two levels of living space topped with an attic floor. 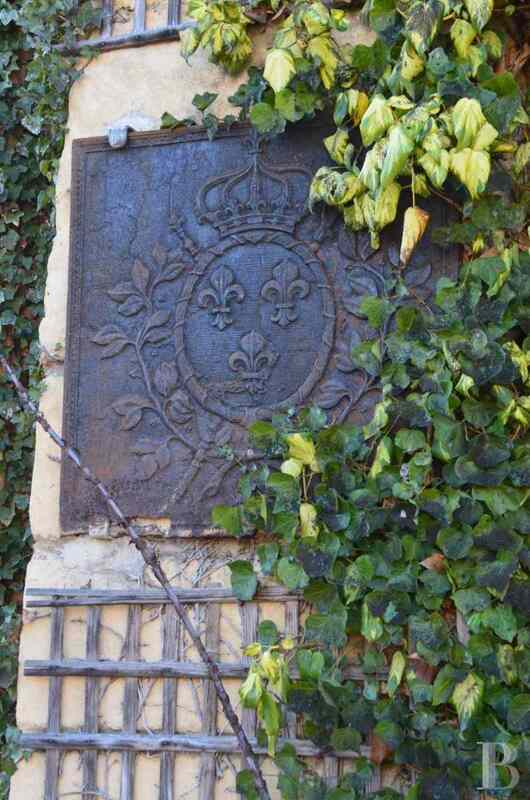 The Jaumont stone, which was used for its construction, gives it a superb ochre hue which gleams during sunny weather. On the south side, towards the parklands, the front facade of the old pavilion currently resembles that of the main section even though the bay remaining from the old central building now constitutes a building set back outside of the carcass. 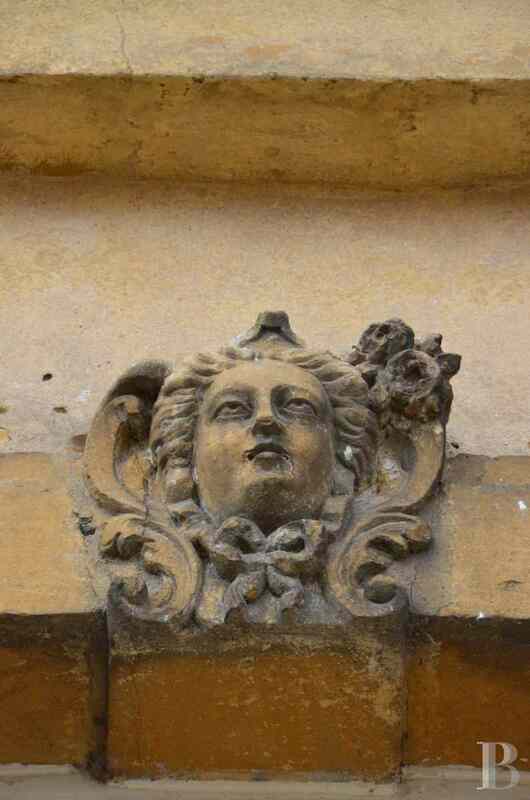 These premises are characterised by their soberness, enhanced but by the quoins, the alternating sizes of the casement windows and the oculi in the roof dormers. The facade facing the main courtyard is more richly wrought. 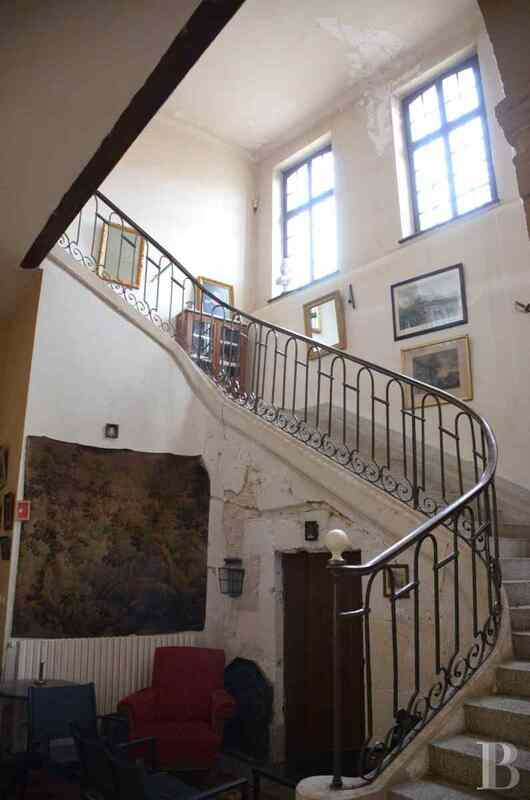 Preceded by a horseshoe-shaped stairway, it features a central projection with a bay on either side set slightly back. 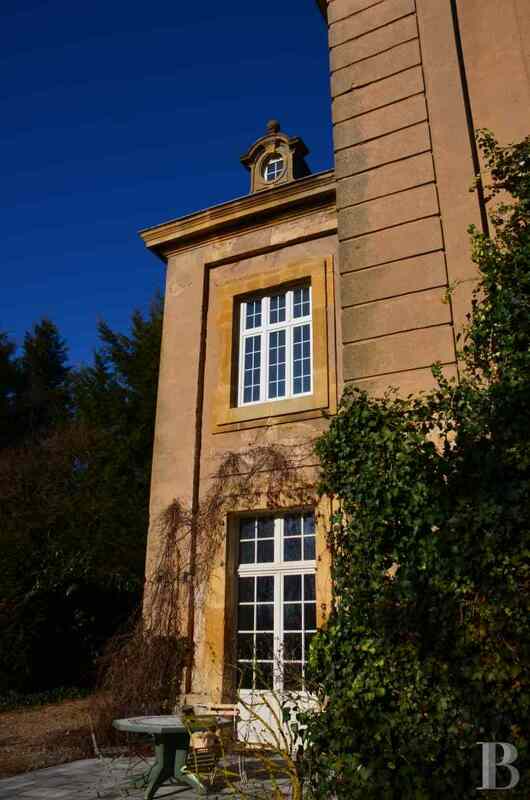 The projection, flanked by quoins, is crowned with a triangular pediment and the entrance door is topped with a semi-circular cornice. 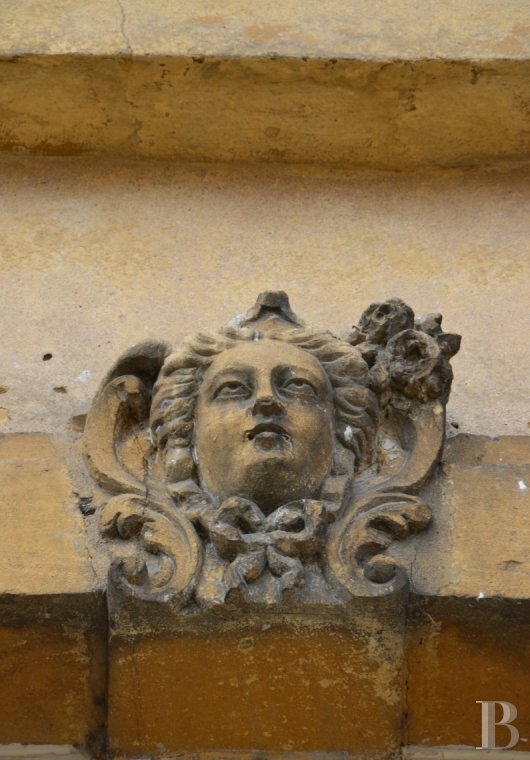 On the lintels of the side casement windows, rocaille motifs and a mask in the form of a woman’s head on the casement window of the central bay create a superb ornamental effect. This immaculately-kept building has been completed by the conversion of the attic space into several rooms, making it a comfortable home for a large family. The upstairs bathrooms, however, are in need of modernisation works. Verdant parklands slope gently down in front of the chateau’s south facade. Together with the main courtyard, they span a surface area of approx. 0.7 ha. 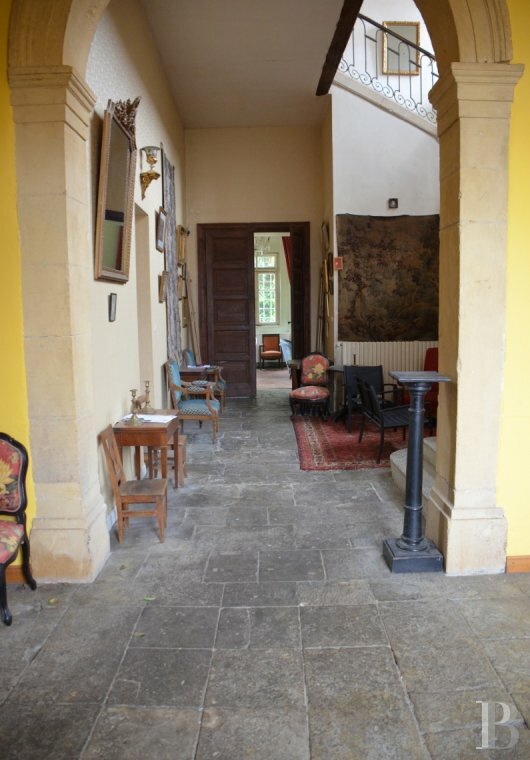 The entrance door off the porch way in the main courtyard provides access to a stately, rectangular vestibule with flagstones. Dubbed the “Salon des chevau-légers” (the household cavalry lounge), it constitutes a waiting room for visitors. The doors of a room transformed into a kitchen and a dressing room communicate, on the left and right-hand sides, with the vestibule. This kitchen was used for private parties organised up until just a short while ago. 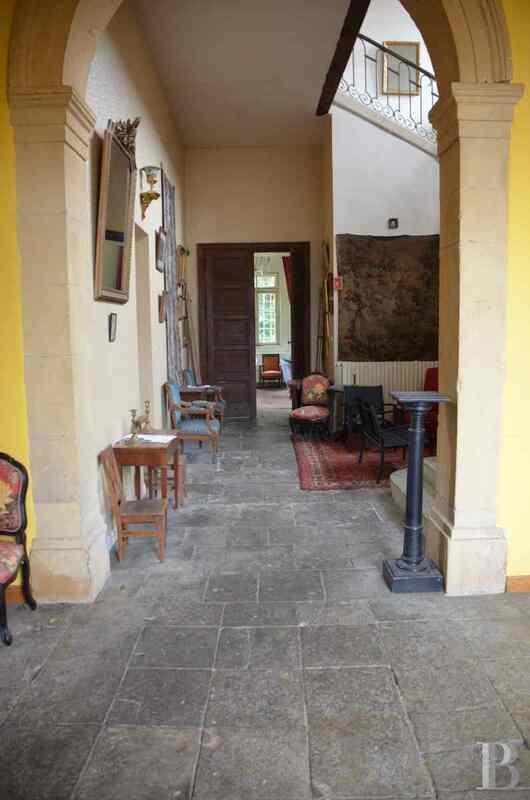 An internal, sandstone, semi-circular arched porch way built into the carcass, at the end of the vestibule, provides access to a long gallery that leads, right, to the main stairway and, left, to the large reception room as well as a last reception room at the far end. The vast main reception room still has its 18th century decor with floor-to-ceiling panelling, formed from large, soberly moulded panels, on all the walls. 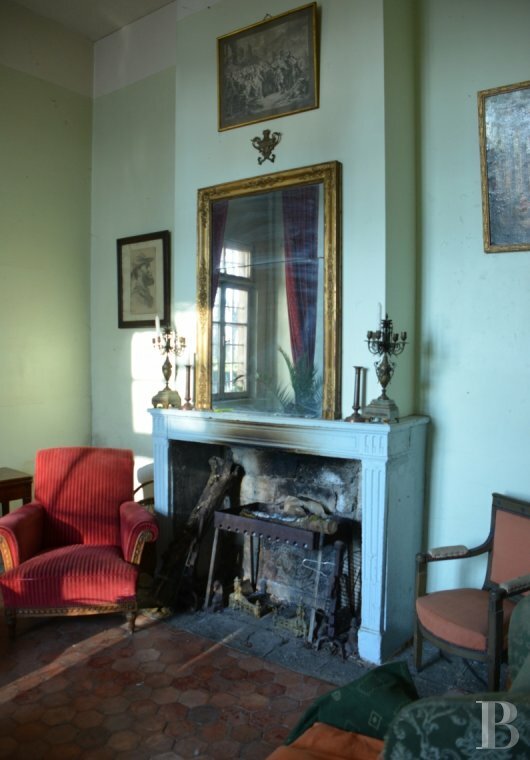 The end lounge, dubbed “Salon Louis XVI” (Louis XVI’s lounge) is in the one bay remaining from the original central building. 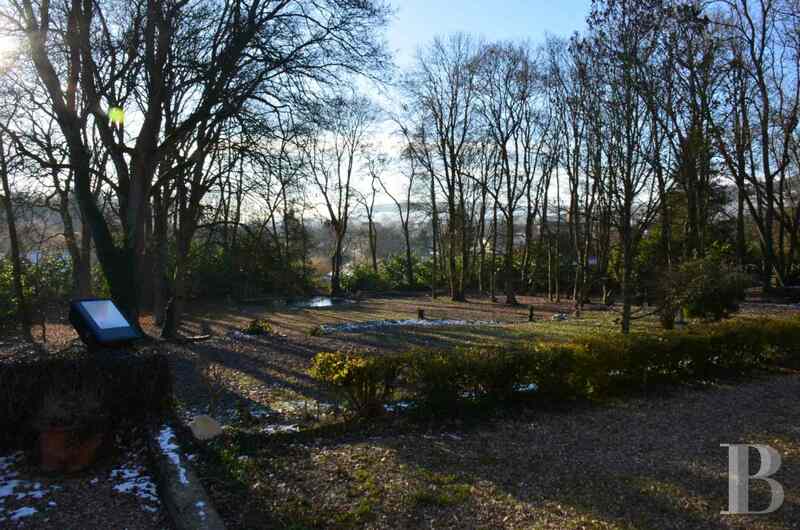 It is extremely bright with, on one side, a large French window, providing direct access to the terrace that goes down to the parklands, and, on the other side, a west-facing window that lets in the late afternoon sunshine. A wonderful 18th century fireplace contributes to the outstandingly authentic decor in this room. 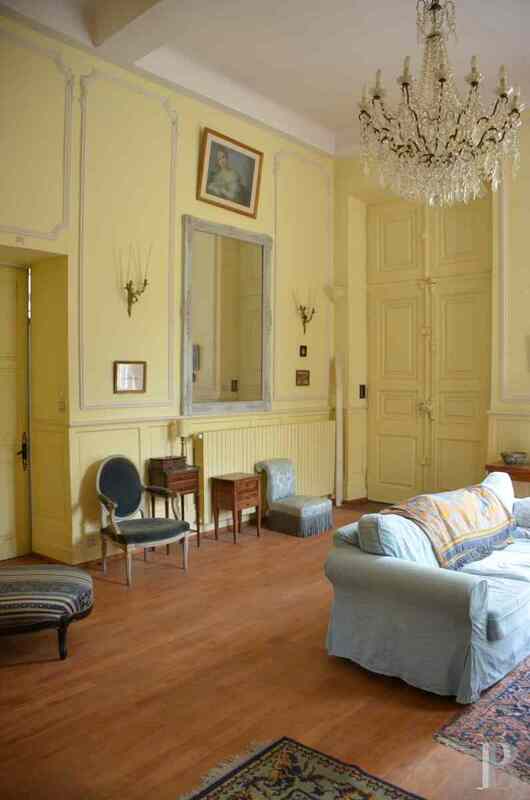 The lounges and the vestibule, given over to receptions and a rather festive use, all have ceilings that are approx. 4.5 m high. 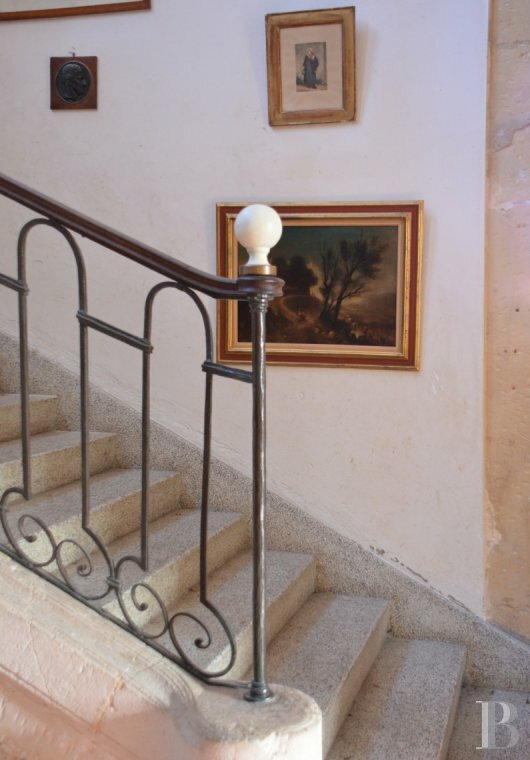 The wide, main stairway in the centre of the gallery is composed of three flights of steps. It is supported by a string wall and illuminated by three high, large casement windows. 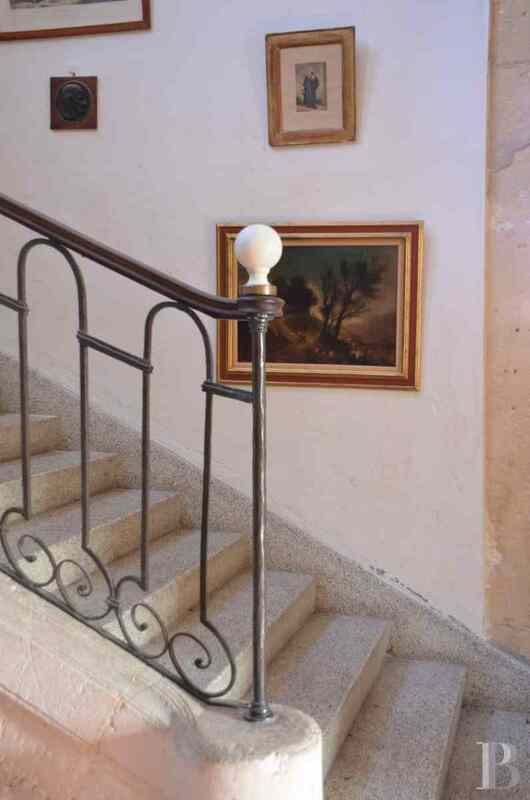 Bordered by simply and elegantly designed wrought iron railings, it goes up to a large landing, closed by an open partition, which provides access to all the rooms on this level. This is, in fact, the first level of everyday living rooms that are more functional than those on the floor below. In the middle of the landing, a lounge-dining room, with a fireplace and its closed hearth fire, communicates with a fully fitted kitchen, followed by two bedrooms and a bathroom on the main entrance facade. At the opposite end is a large master bedroom with its bathroom. The former attic space has been converted in order to create five bedrooms, a study, a dressing room and a bathroom. In addition to all these comfortable rooms, there is a large games and relaxation room, spanning approx. 37 m². This extremely convivial level is ideal for children. A few years after the construction of the chateau, the son of Laurent-de-Chazelles commissioned vast, prestigious, terraced gardens featuring numerous wonderful fountains. 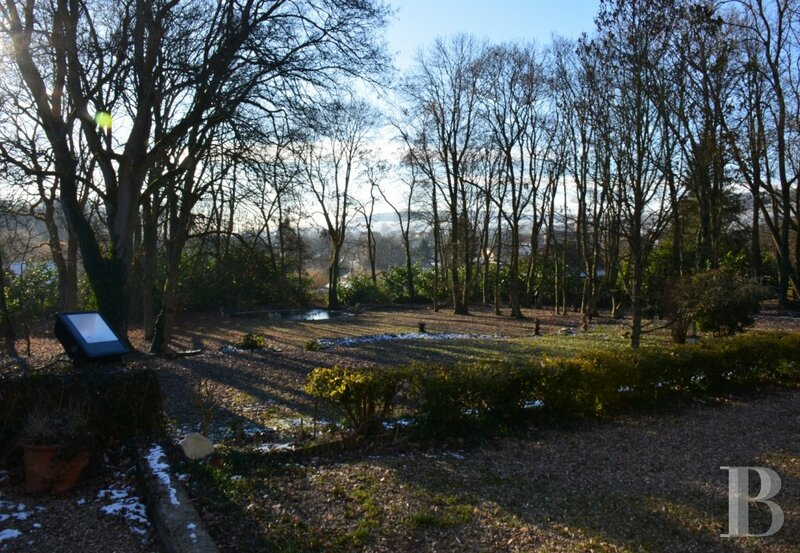 Nowadays, these 0.7 ha parklands comprise a series of two terraces followed by land gently sloping down to tall trees standing all around their perimeter. A superb fountain is adorned with a lion’s head, from which flows spring water and, on a lower level, feeds a large oval lake bearing witness to the magnificence of the property. 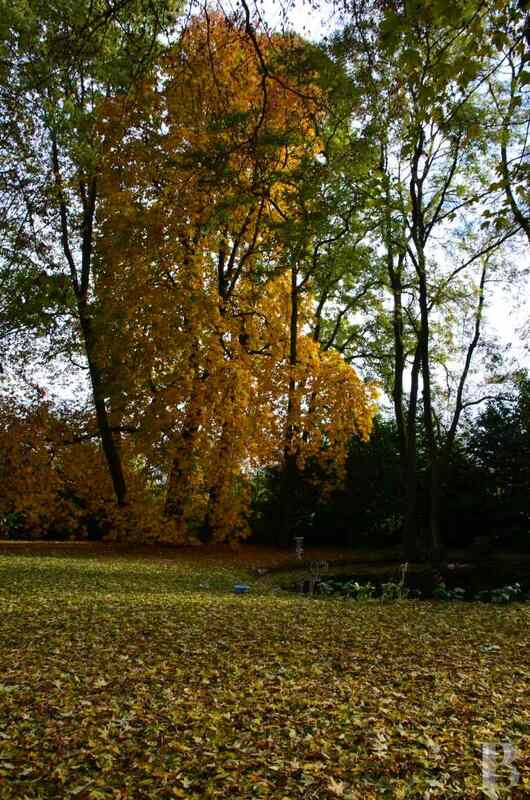 These south-facing grounds are filled with sunlight, filtered by cool foliage. 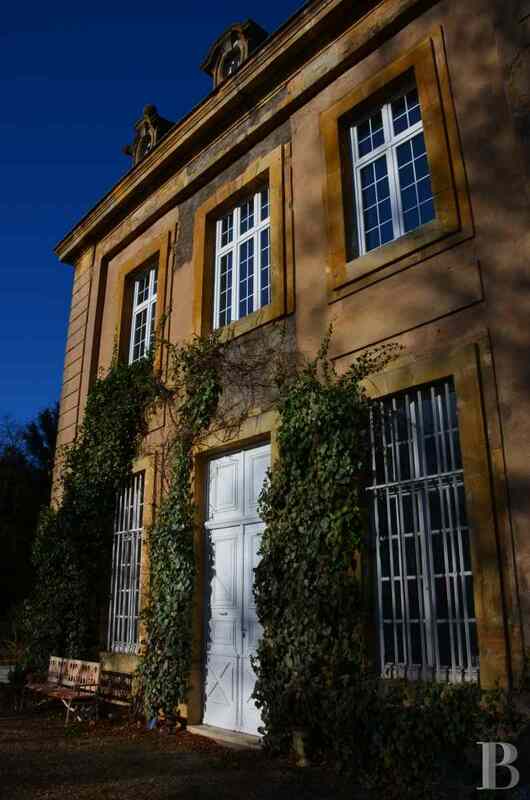 This chateau is not only characteristic of the 18th century but is also outstandingly beautiful. It still has a number of stately assets, notably the rich and elegant decor of its facade facing the entrance courtyard. Its internal architecture also remains unchanged with comfortable and functional living rooms. The parklands, set back behind a screen composed of tall trees, provide a captivating view of the chateau standing in the background on its dominant terrace. 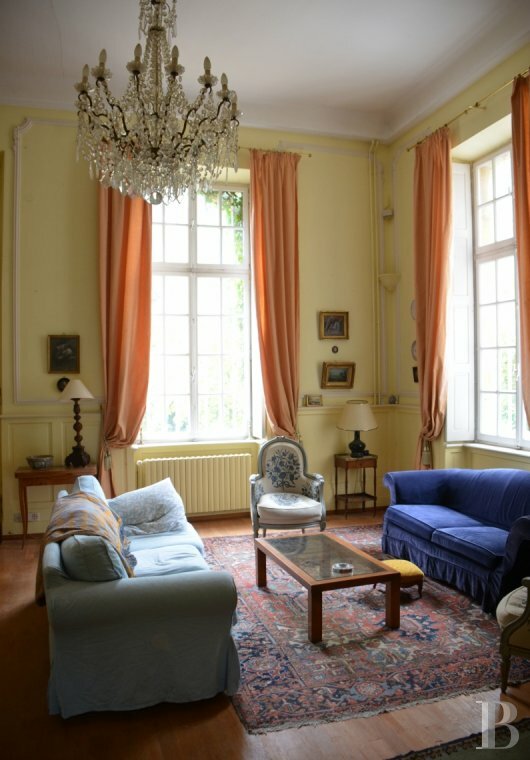 This property, courtesy of its proximity to a lively regional urban area, provides its residents with the rare advantage of being able to live in their own era surrounding by an ambiance inherited from the Age of Reason. 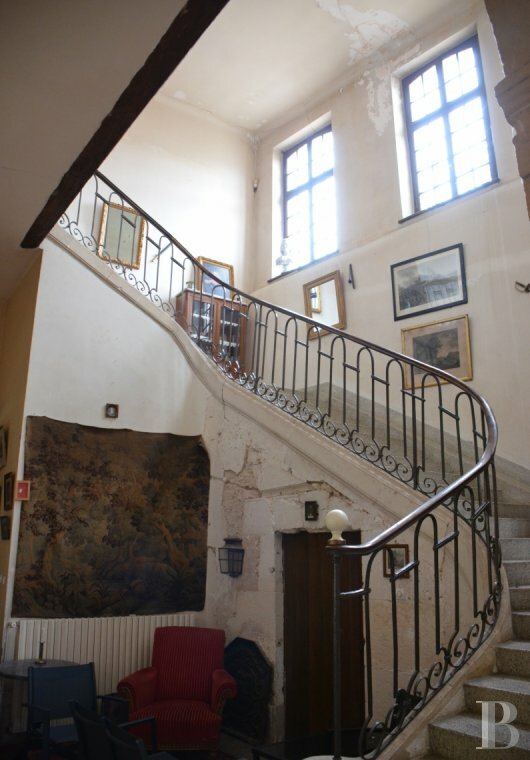 This chateau hosted private functions (weddings, cocktail parties, receptions, exhibitions, seminars, etc.) in its large reception areas on the lower level for a number of years. Such an activity could be revived immediately as all necessary facilities are in place and the dynamics of the region’s economy constitute a favourable environment.